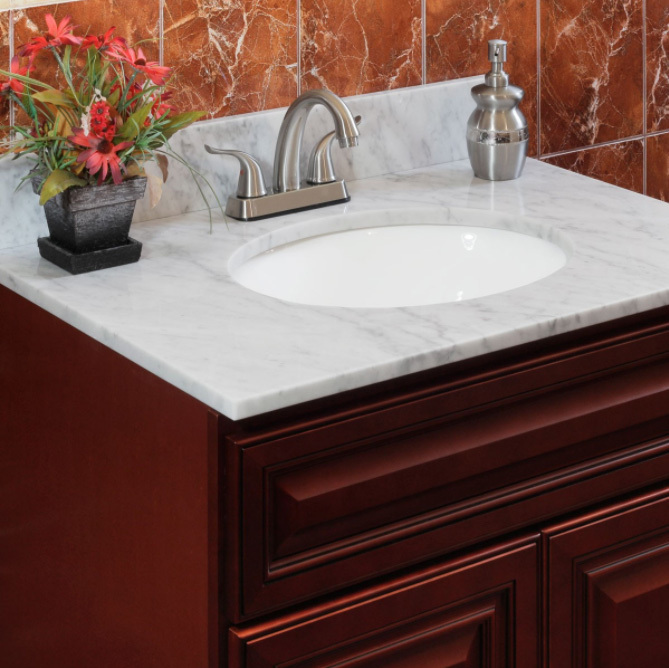 Cara white marble vanity tops are made of beautiful natural marble stone. All outer sides are polished for luxurious look. Each model is complemented with white ceramic undermount vanity sink.